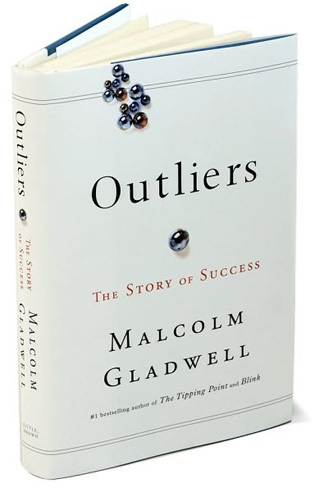 The 2008 book Outliers: The Story of Success by Malcolm Gladwell takes a look at highly successful individuals or groups of people and explains the life events and circumstances that helped them achieve greatness. Gladwell showcases Canadian hockey players, Jewish attorneys, The Beatles, and Bill Gates to name a few. The book discusses a set of circumstances that occurred uniquely to that person or group of people that gave them a leg up on the “competition.” He speculates for example that the professional hockey players from Canada are born in the first few months of the year therefore making them older when picked for junior teams that play many more games and travel which in turn gives them more playing time and practice to ultimately become professional. Or in the case of Bill Gates being born in a certain time frame and having much more interactions with computers at a young age by a series of random occurrences. Therefore having lots of “practice” on computers by the time he entered college and more experienced than his professors and classmates which ultimately led him to drop out of college and create Microsoft. Gladwell also speculates the “10,000 hour” rule in which any person or group of people must engage in 10,000 hours of their talent to be truly successful and “great.” This was explained through the story of The Beatles in their quest to be great they spent many nights playing all night in Hamburg to get experience on stage. You want validation in your aspirations/goals. Interested in how to be successful. This entry was posted in Books and tagged Beatles, career, Charlotte North Carolina, goals, Malcolm Gladwell, Mental health, Outlier, outliers, personal development on August 2, 2011 by katieovercash.